SwiftKey hit a rough patch in the last month. A bug with suggestions was causing some crisscross of information between accounts, giving email addresses and phone numbers as suggestions to users who had never entered them. That lead the developers to stop all synchronization in the app then roll out a temporary fix that reinstated the busted sync but only for regular words, not emails and numbers. Now the final fix is quasi ready. The latest SwiftKey Beta (v 6.4.1.45) adds back number, email, and other predictions containing the character @. However, all learned ones have been wiped so you'll have to start from a clean slate. 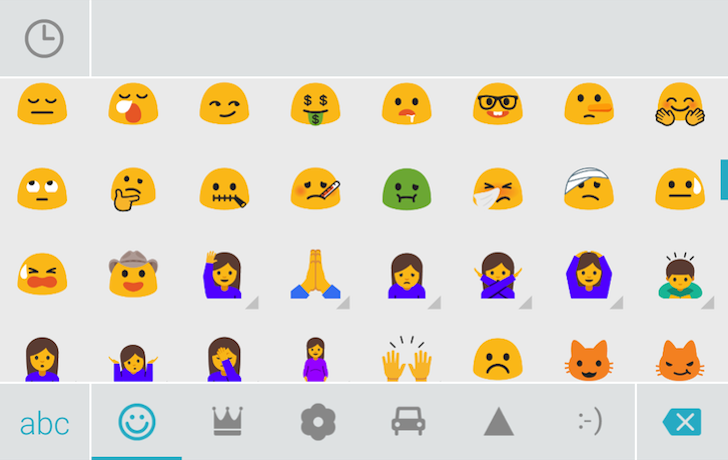 The beta also adds Android Nougat's 74 new emojis as well as the skin tone modifiers for plenty of existing emojis (tap and hold on the ones with a small grey triangle beneath them to reveal the different variations). Here's the official changelog followed by the link to the beta app on the Play Store. Hopefully, this fix and the emojis will make it to the stable release soon.